Inoxpa manufacture stainless steel progressive cavity pumps, also impellers, lobe and centrifugal pumps. Inoxpa design and engineer equipment also processes for food processing and winemaking industries. Also olive oil production and cosmetics and pharmaceutical industries. 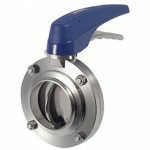 Butterfly valves and ball valves, also check valves, shut-off valves and control tops – C-top pneumatic control units. Dairy sector – We design and develop complete projects according to your needs. A new division destined to provide solutions for all phases of your project. Food processing sector – All our products and everything involved in technological development is a means towards offering the best service. Pharma and cosmetics – we are a reference point for companies in the pharmaceutical also cosmetic sectors, offering high quality components and solutions. 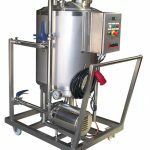 Wine making sector – Process automation solutions applying technology most suitable for particular processes of the winery. 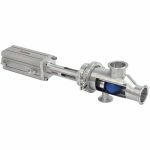 Mixing skids, CIP skids, product recovery systems, also pasteurizers, manifolds, process automation, pumps, agitators, blenders, mixers, valves, and fittings.